Since I was a girl I liked being physically active, and for that reason I participated in ballet and sports. Before triathlon, I was a swimmer, and ran 5 and 10 km races (even winning a medal in a South American championship). 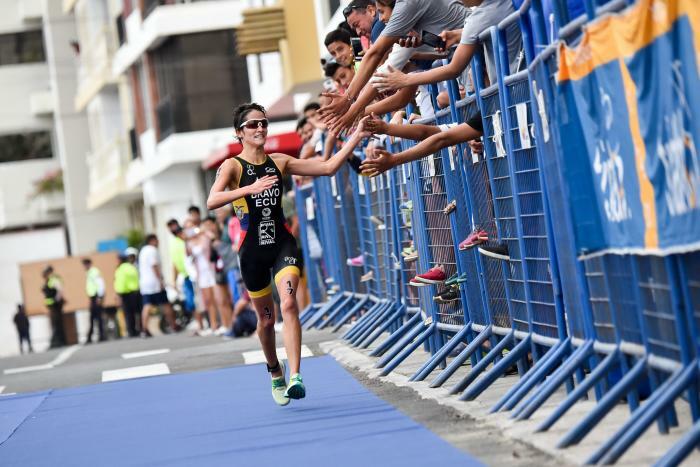 I began triathlon thanks to my current president, Cornelio Serrano; he saw promise in me, and lent me cycling equipment: helmet, shoes, and their daughter’s bicycle. My family has had the most influence on my sporting career, and my biggest obstacle to overcome has been living away from my parents, since they are a fundamental pillar of my life. Both my mother and father are artisans, and in their youth were 5 and 10 km runners. They competed in school races and within the city, because there was not country-wide support for sport as there is today. It’s a bit funny: my grandparents didn’t like it that their children were involved in sports because it was considered a waste of time. 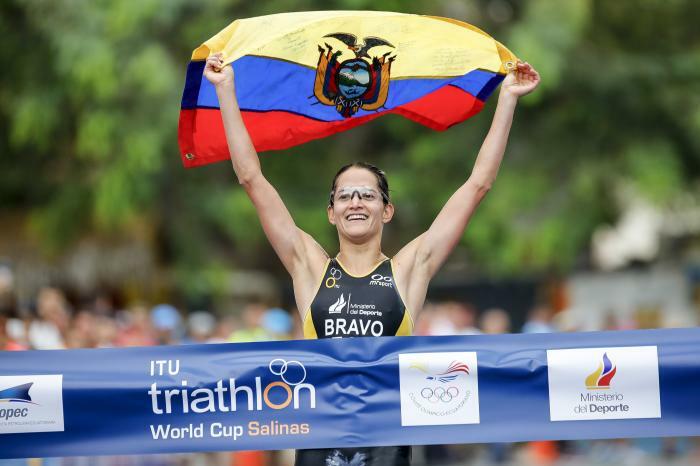 My sister was a gold medal-swimmer in Ecuador in the 400 and 800 meter swim. 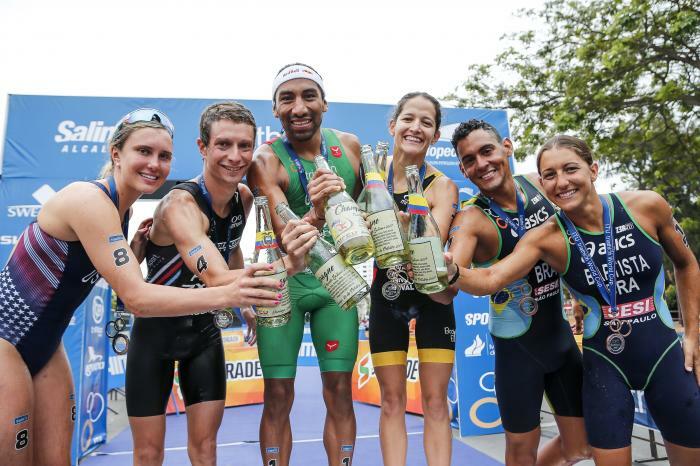 My favorite ITU race is the La Paz ITU Pan American Cup, because there is a party atmosphere to the town, and a feeling that the whole town is excited for us to arrive and to compete. There is a feeling that participation is more important than finish time, and the onlookers cheer us on regardless of who wins. My personal best swim time (1500m) is 19:16, bike (40km) 1 hour 6 minutes, and run (10 km) 35 minutes. 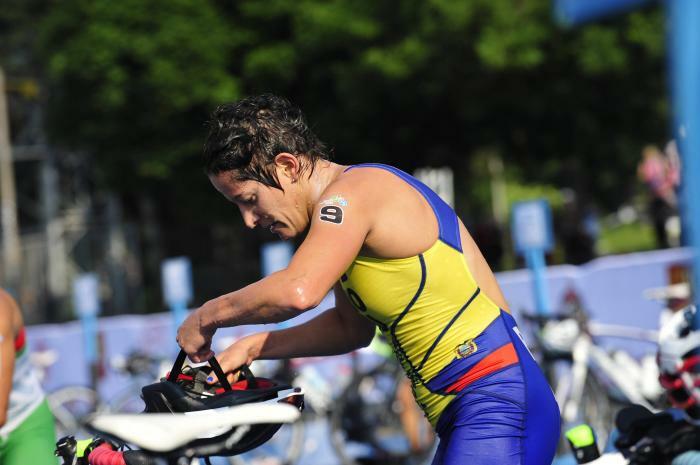 During a typical training week, I swim six hours, bike eight hours, and run four hours. 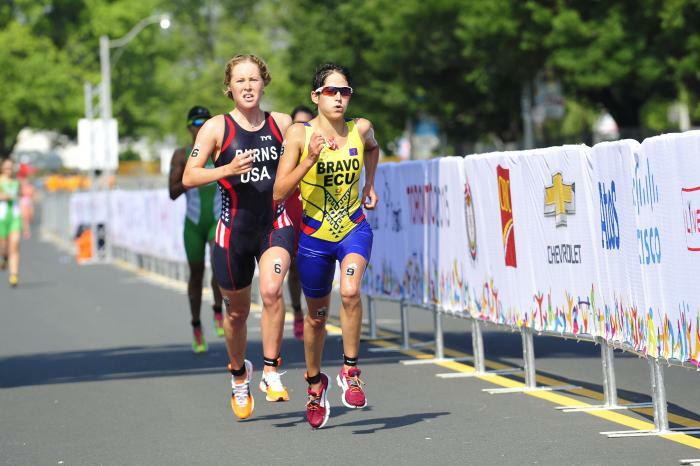 My triathlon goal is to participate in the Olympic Games. 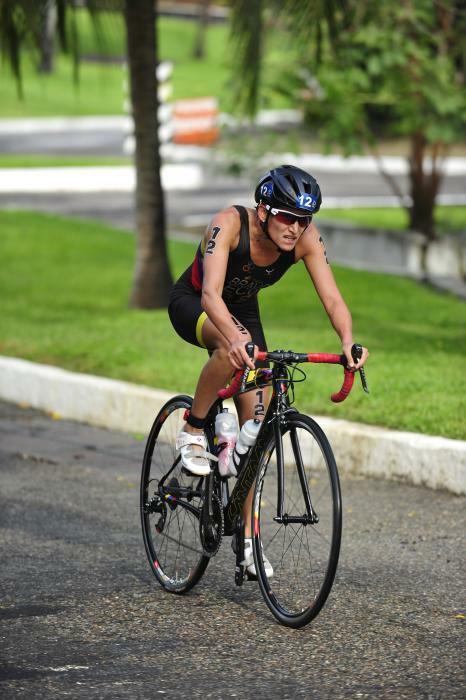 I live in Costa Rica for three months out of the year, and my life revolves around the daily training required for triathlon. I also work when I can as a physiotherapist for a cycling team, and study English online during my free time. 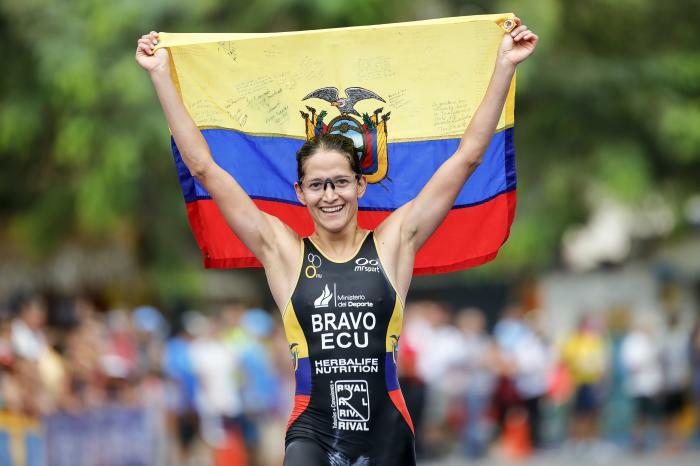 It has been a huge year for Ecuador’s Elizabeth Bravo. 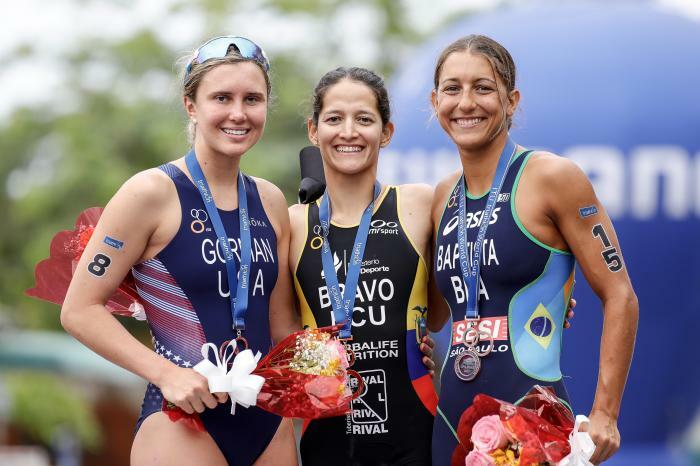 While she just qualified for her second Olympic Games, she did so by also just giving birth to her first child. 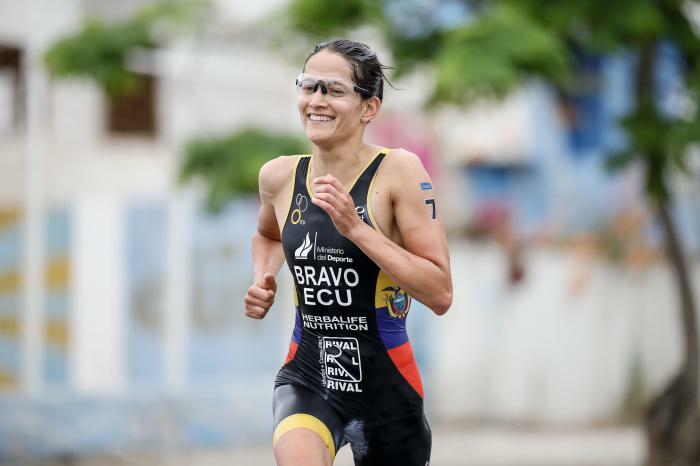 The reach of Team Triathlon keeps growing, the four person mixed relay format made its latest debut in Ecuador at the 2011 South American Beach Games. 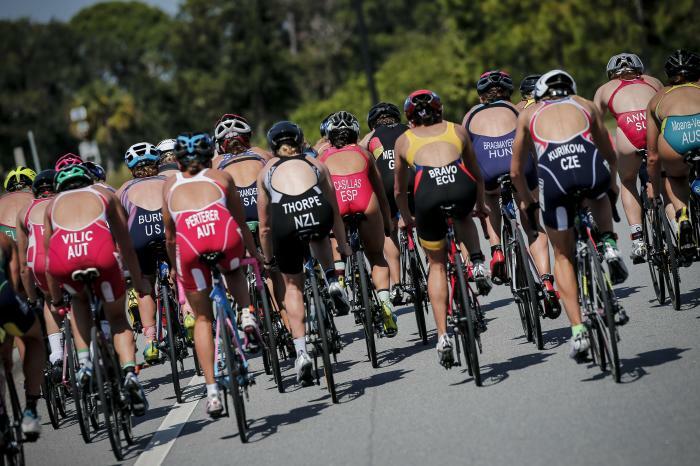 Find out how the races panned out here.